Posted in Manuscripts, Middle grade novels, Uncategorized, work-in-progressTagged ancient Gaul, Book Character Parade, Book Week, dress-up, main character, PinterestLeave a Comment on What does your main character look like? 12x12x12 Picture Book Writing Challenge Completed! At the beginning of the year I wrote about a writing challenge I had decided to join: Participant Badge for 12 x 12 in 2012. Then half way through the year I wrote about it again to mark a milestone: Halfway through the 12 x 12 writing challenge. Now we have come to the end of the year and it is time to write the final update about the challenge and how I went with it. resolve your story with a satisfying end! I’d like to ‘Thank’ Julie Hedlund for creating the writing challenge and if you have also completed the challenge, well done! Posted in Manuscripts, Picture Books, writing challengeTagged 12 x 12 in 2012 Picture Book Writing Challenge, Julie Hedland, manuscript drafts, picture book manuscript, publishing houses28 Comments on 12x12x12 Picture Book Writing Challenge Completed! My lovely notebook now filled with a whole months worth of new ideas! 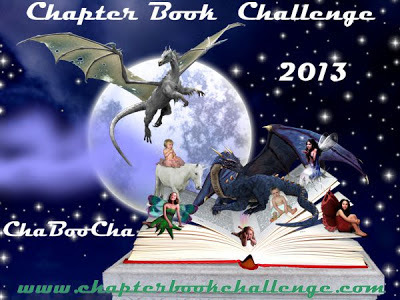 Yesterday I completed a writing challenge – the PiBoIdMo 2012 – which stands for Picture Book Ideas Month. This is the second year that I have participated in this PiBoIdMo writing challenge. I have written previously about it here, PiBoIdMo 2012 and here, PiBoIdMo 2011. The great thing about this challenge is that I now have 30 new picture book concepts that I can work on over the next year. Last year 2 out of the 30 ideas have turned into complete manuscripts. 2 others have potential and 1 has been turned into a middle grade chapter book. The challenge is great for encouraging you to brainstorm for new ideas. Some will never amount to anything, but that doesn’t matter. This year I am quite excited about 2 of my ideas, 6 more have potential and I have even managed to come up with a couple of history themed picture books which of course is an area I really enjoy reading and writing about. So, If you have also completed the challenge this year, don’t forget to sign the pledge over at Tara lazar’s website here: Take The PiBoIdMo 2012 Winner’s Pledge! I’m a winner are you? Choir to sing words to my book! How cool is this??? I can now start to market my new book. Plus, the choir my aunty sings in is going to sing the words to my little self-published Christmas book, ‘The Jersey 12 Days Of Christmas’ on the 29th November! I so wish that I could have been there, but we are saving our money for our trip back to Jersey next July. So if you are in Jersey, Channel Islands between 6-9pm ‘Hot Bananas Choir’ will be singing Christmas carols as well as the words to my book. Posted in Self-publishedTagged Channel Islands, Jersey, singing christmas carols, The Jersey 12 Days Of Christmas2 Comments on Choir to sing words to my book! While I am waiting for the proof of my self-published paperback version of ‘The Jersey 12 Days Of Christmas,‘ I am using the time to add sound effects to my ebook. I have mentioned before in a previous post “A Puffin In A Pear Tree‘ that I have been using Book Creator on ipad to make the book. To add the sounds a friend recommended Soundrangers as a good place to purchase sound effects from. It is another huge learning curve for me but I am enjoying it. Book Creator also gives you the option to record sounds straight into your ebook. This is great if you want to add a voice over so children can have the option of listening to the story. and best of all singing along to themselves or with family and friends! Hopefully, (with fingers crossed) I will be able to launch the paperback book and the ebook at the same time! PS: I am not on any commission for any websites I recommend, I am just sharing the information with you about the resources I use. It’s that time of year again where you can challenge yourself for the whole month of November. Today is the last chance to sign up, as it starts on the 1st November 2012. It’s PiBoIdMo 2012 organised by the inspirational Tara Lazar – it means on everyday of November you have to come up with an idea for a picture book. Just the idea, that is all. How hard can that be? Surprisingly enough, some days it can be quite tricky! If you can write a first draft from that idea, even better but not necessary. I have recently been trying to anthromorphise my drawings. I find it difficult. Maybe I am trying too hard. I watch my 8 year old son who seems to manage it with such ease (but then I think he practises much more than I do and maybe that’s the moral of this story). I just love the expression on the shark’s face, the little piggy looks stunned and the crocodile has no idea what’s behind her! Backgrounds for me are a tricky thing – I never know whether to leave it blank, add a bit of colour or add detail. IWhen adding colour I need to consider consistency of colour. Am I keeping the same tone with each illustration. Does it look right if some background colours are bold and others are softer? I initially used a green background as pumpkins grow in Autumn where I am from. But then I got thinking about the colour wheel and how opposite colours make each other stand out more. Plus, we associate pumpkins with Halloween, so I decided to make it night and add a yellow glow inside them. The only trouble is, all the other illustrations I have used for this counting picture book have soft pastel shades in the backgrounds. I wonder, does it matter if one picture stands out from the rest? What do you think?